Britt flies with air show pilot, Michael Goulian, to learn a bit about upset recovery, unusual attitudes and aerobatic flying. That was AWESOME! This was one of the most memorable flying days of my career and I still can’t stop smiling. I learned so much at Executive Flyers and had so much fun. I got to see what it’s like to make unusual attitudes the usual. 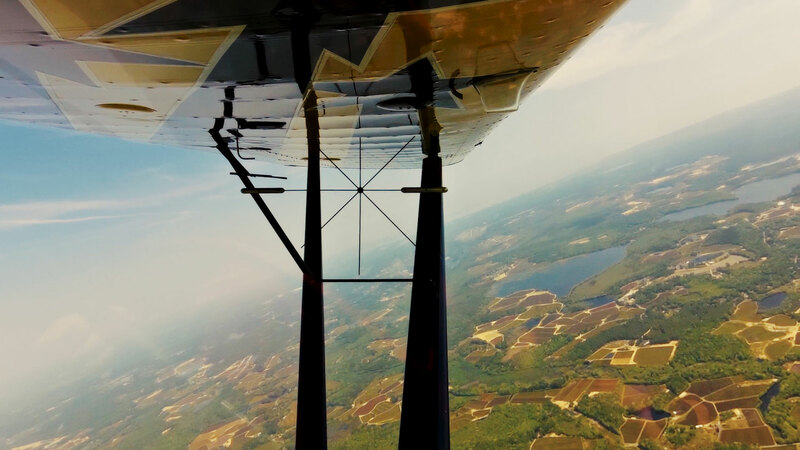 Getting specialized training in upset recovery, unusual attitudes, and aerobatics let me explore the edges of the airplane’s envelop and build confidence to react properly and safely if I were to ever inadvertently put myself in that situation. In the simulator, we also practiced a takeoff out of Aspen Airport (where I’m going next!). As a newbie to flying in mountains, it was really interesting how the terrain created a false horizon and I tricked myself into climbing at a higher angle of attack that I needed and unsafely put myself in a situation where I wasn’t climbing well at the high elevation and needed to clear fast rising terrain. My first time wasn’t so good, but thanks to the beauty that is training in a simulator, I was able to try again and this time use what I learned to create a more successful outcome. 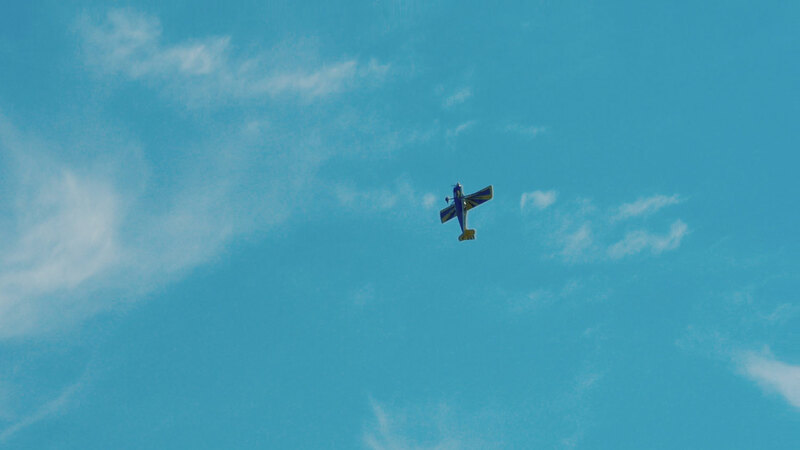 This was my first time flying a Super Decathlon. It is a great aerobatic trainer and was a great teacher in showing the importance of rudder to avoid left turning tendencies and adverse yaw. 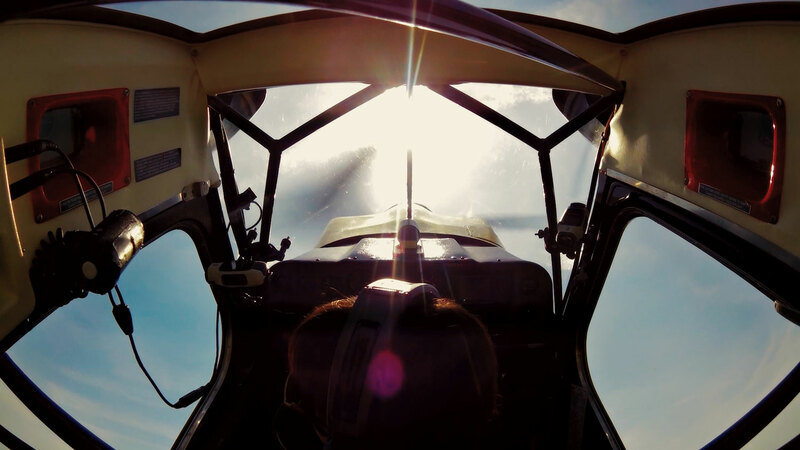 After practicing recoveries from a variety of stall configurations and usual attitudes and feeling comfortable and confident with those principles, we went into the basic of aerobatics. Michael walked me through a loop and then I got to do it myself. And then, because I was having the time of my life, we did a roll, a hammerhead, and inverted flight. I whole heartedly believe that all pilots should get focused training in upset recovery and aerobatics. It allows you to really think about aerodynamics and the airplane’s energy and using it to your advantage. It makes you a better pilot… and…. It is just good pure fun! 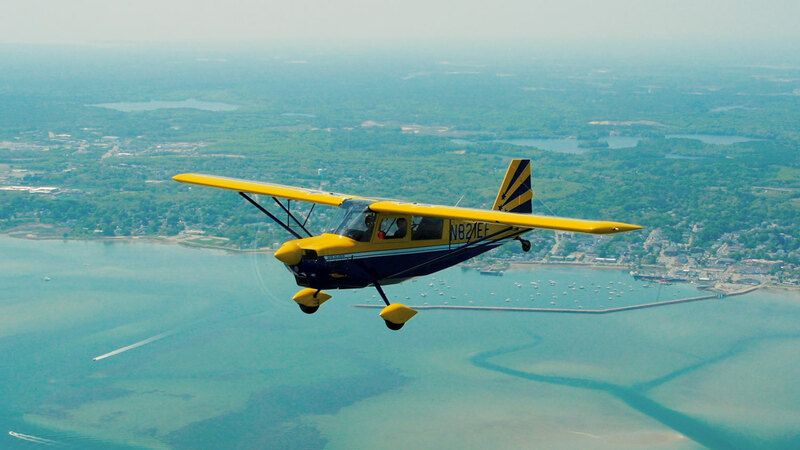 Executive Flyers Aviation is a premier flight school in the Boston metro area which was started in 1964 by Mike Goulian’s father, Myron. 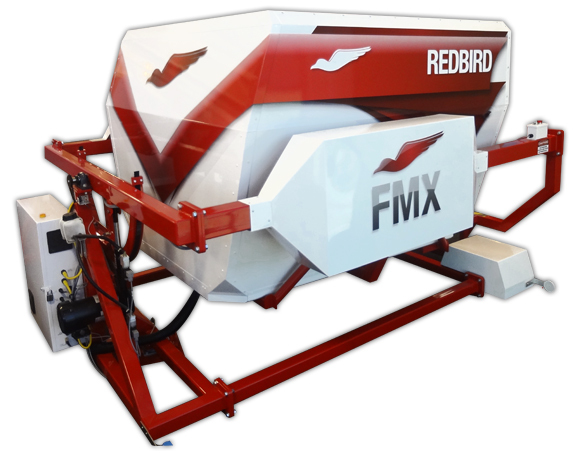 Their mission is to provide an unparalleled flying experience by setting the highest standard of instruction and service in an atmosphere of mentorship and community. 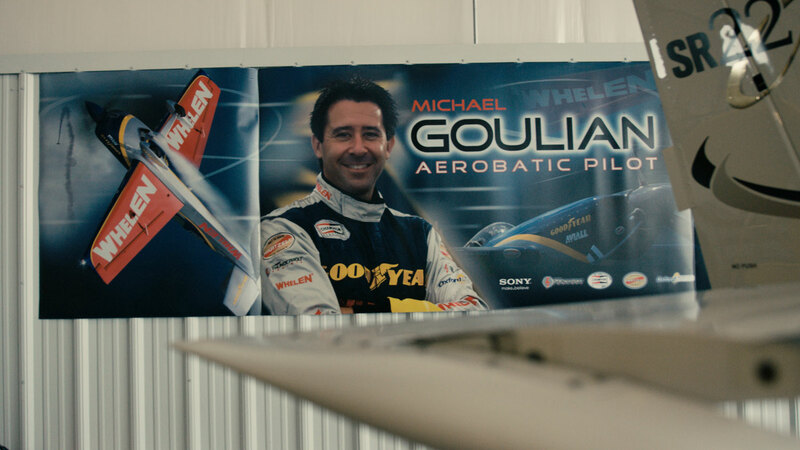 Mike Goulian is an award winning professional airshow and air race pilot, flying displays around North America and competing in air races globally. He is a dedicated general aviation advocate and promoter. Millions of air show spectators around the globe have witnessed the ferocity of a Mike Goulian air show performance. Every roll, pull, and tumble of his flight is a deliberate execution of precision. With his aggressive approach to the air show arena, Mike Goulian has mastered the ability to convey his message of passion through flight. Mike’s crisp, athletic style of flying is the evolution of his landmark career as an aerobatic competitor. Mike reached the pinnacle of the sport when he won the United States Unlimited Aerobatic Championship at only 27 years of age. He was honored to represent the United States at the World Aerobatic Championship on three separate occasions. Mike returned to the competitive world with his participation in the famed Red Bull Air Race series. He was chosen once again to represent the United States on a global stage. Mike’s relentless pursuit of perfection earned him a first place win in Budapest, Hungary in 2009. As an air show superstar Mike Goulian continues to redefine what is possible in the air. His ability to push the limits while adhering to strict safety standards has earned Mike the reputation of being a true professional in his field. He was recognized for his efforts when the aviation industry bestowed upon him its greatest honors. He is one of a seven people to have been awarded all three of the air show industries most prestigious awards; the Art Scholl Memorial (2006) Showmanship Award, and the Bill Barber Award for Showmanship (2009), and the ICAS Sword of Excellence (2012). Today, Mike’s performance is the perfect marriage between man and machine. The only airplane capable of delivering a Mike Goulian performance is the EXTRA 330SC. Composed of high tech, lightweight carbon-fiber and rugged steel construction, the EXTRA 330SC is the world’s most high performance aerobatic airplane. Despite Mike’s successes he remains humble and accessible to organizers and fans alike. This rare combination has made Mike Goulian an unforgettable air show favorite. The Super Decathlon is a two-seat fixed conventional gear light airplane designed for flight training and personal use and capable of sustaining aerobatic stresses between +6g and -5g. 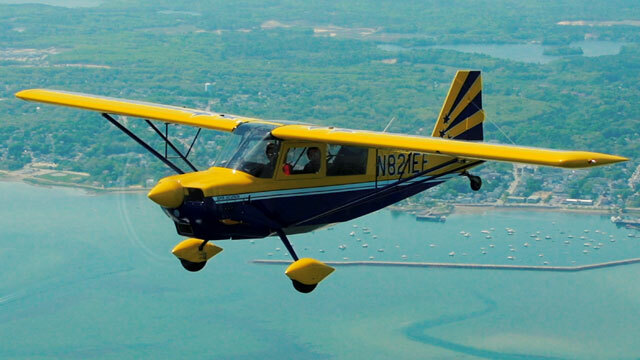 The Decathlon entered production in the United States in 1970 as a more powerful and stronger complement to the American Champion Citabria line of aircraft.